Free Real Estate Agent, Client Organizer template for Organizer Deluxe and Organizer Pro users. Complete template that allows real estate agents to organize and manage client and business contact. 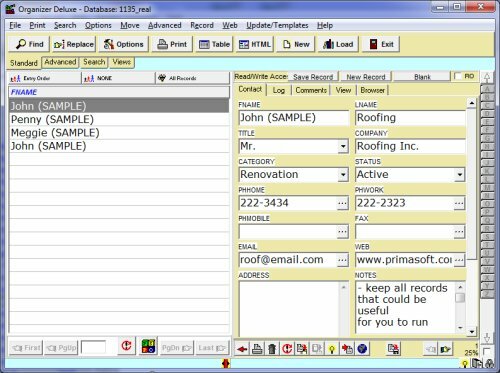 Manage your realestate contact information including person name, business name, category, phones, email address, contact history, and more.